For a few days in early March 1997, the nation held its breath in optimism as they waited for good news having learnt that the then President, Dr Cheddi Jagan, was flown overseas to seek medical treatment. None probably contemplated the worst, for their love may have suppressed such morbid thoughts. With positive thinking, they waited in anticipation of a triumphant return, wanting the illness to be defeated. The last image of his ailing but confident smile with an accompanying reassuring wave was etched firmly into their memories as it fostered and energised hope wrapped in unity and nationalism. Unfortunately, death struck and for a grateful nation, the timing was most undeserved and unwelcomed. Tears replaced smiles as sadness rapidly spread throughout the land and beyond its shores. But even with heavy hearts, their spirits were not broken and their hope resolute knowing he dedicated his entire life to making theirs better. Guyanese admired and took comfort in everything they knew of him: his selflessness, his indomitable fighting spirit, his fearlessness, his humility, his simplicity, his determination to free his land and people, his honesty, and his triumphs over adversity. Those were some of the qualities that exuded from his natural disposition; qualities that helped guide and shape their lives; qualities that were exemplary for a simple mortal who walked this land and with its people. News of his death was not words many thought they would read or hear in their lifetime for he was larger than life. On March 6, 1997, that fighter for an independent and free Guyana had fallen, having succumbed at the Walter Reed Memorial Hospital in the USA. Deemed as “sweet irony” in global politics, the country that aided in his removal from public political office decades before was the one that did its utmost to save his life. Maybe the world had changed, and if it did, it might have been an indirect tribute to Dr Jagan’s vision of world affairs and inclusiveness. Guyana, the Caribbean, South America, and the rest of the world were deprived of a true champion of humanity. It was, therefore, not surprising that his New Global Human Order, intended to promote multilateral approaches to the solution of global problems, having been brought to the United Nations, received global support. At home, a great, true and non-materialistic son of the soil had fallen; a son from humble beginnings who became an effective instrument of positive change for the advancement of humanity; a son who founded the People’s Progressive Party (PPP); a son who fearlessly took on the colonial powers. 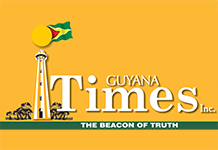 Guyanese, in unprecedented numbers, took every possible vantage point, high or low, to view his cortège after his body returned to the then Timehri International Airport and as it made its way to the cremation site at Babu Jaan, Corentyne, after the days of mourning and his funeral. From all walks of life, the young and the elderly, supporters and non-supporters, they queued in Georgetown and Berbice to file past his casket not just to pay respect, but to have a final glimpse of a hero. 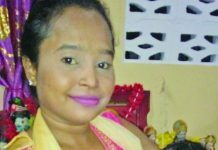 Many wailed uncontrollably and the spontaneous outpouring of grief took a different outlook when the funeral procession reached the village of Buxton on the East Coast of Demerara. There, villagers surrounded the hearse bringing the procession to a halt. They demanded to see their brother, leader, and countryman and to pay their final respects. They demanded to say their goodbyes and the images were heartening and impacting for unity. In the 1960s, he spoke of the four cornerstones of our present needs – racial harmony, national unity, national Independence, and peace and progress. He noted, “Without racial harmony there can be no national unity”. Even in death, he was able to forge togetherness. He was a nationalist as vindicated by the images of his life and which were emphasised during his funeral. Despite his cortege reaching the Albion Sports Complex late into the night, thousands and thousands of Guyanese demanded immediate viewing. The magnitude of the never-before-seen crowds forced the cremation to be postponed to the day after it was originally scheduled. It spoke volumes of Guyanese’s sentiment of adoration for him. The genuine and unsolicited expression of love, respect, and shock following his death, as during his life, served to exemplify what Cheddi meant to the Guyanese people. In various ways, through his valiant and selfless efforts, he represented their cause; gave them purpose; courage; restored their dignity; freed them from the shackles of oppression and put them on a path to prosperity. He left a treasure trove of invaluable lessons for the advancement of every aspect of humanity. His life and work remain a reservoir of inspiration for all in the quest for national harmony and for the betterment of Guyana and Guyanese. His unwavering determination through the struggles he led, the sufferings he endured in the process, and his achievements make him arguably the greatest son of the soil. Previous articleMcCoy gets his chance!